BEASTS & LEAVES: WHAT CAN ANIMAL-PLANT INTERACTIONS TEACH US ABOUT THE IMPORTANCE OF BIODIVERSITY? Species interactions are the bread and butter of ecosystems. But, we often hear about biodiversity, and its loss, through the lens of a species or a group of organisms. When we lose biodiversity though, we lose so much more than species. We lose interactions that are critical for ecosystem functions that we rely on. Join me as we take a whirlwind tour of past, present, and future global biodiversity through the lens of species interactions. Danya will be talking about how to create a sitcom (a creative endeavor) and the inner-workings/philosophy behind it. Learn some basic astronomy and how to identify celestial objects visible in the skies over Hawaii. We’ll learn about Hawaiian stars and constellations alongside the Western system and how Harry Potter fits into the picture too! Tony Smith has been a Science Educator since high school when he volunteered with Outdoor School in the forests near his native Portland, Oregon teaching 6th graders about natural science. After graduating from Oregon State University with a degree in General Science and intentions to be a middle school science teacher, Tony instead ran back to the woods and worked as staff at Outdoor School. Tony has also worked at the Oregon Museum of Science and Industry in Portland and Pacific Science Center in Seattle, WA. He moved to Hawaii this past June and is currently the supervisor of the Bishop Museum Planetarium. When he’s not staring at the night sky, Tony is also a Co-Boss of Nerd Nite Honolulu. This history lecture sketches a brief picture the choices of escaped slaves who found a better chance of realizing freedom within their lifetimes by siding with Great Britain in the American War of Independence, and the outcome of their choices at the end of the war. John Harrison was born here in Honolulu and grew up in Kaneohe. He earned his Bachelors Degree studying History at UH Manoa, while moonlighting as a wine snob at Vintage Wine Cellar. (vicariously) what it is like to ‘hit a wall’ (with paint). Bonus points for glowing bunnies. Jessica is an artist, illustrator, dancer, and nature-enthusiast. Between artistic forays and involvement with local organizations she is soaking up inspiration from her favorite gallery (guess which). For more info/updates, visit her website or IG (jessicaorfe.wixsite.com/gessoremedy @cherubjeo3). Hello Nerd Nite, I am the editor, Robert Piña of Red Visual Magazine and I am focusing on a diverse nomadic lifestyle magazine. We are presenting in the next nerd nite a mix of Interviews from our voyage on the Hawaii and media from California (not advertising the magazine). Overall, it will strictly be educational and informative to the audience of Nerd nite taking a journalist approach. Ah, the rigorous summer science course, fondly known as adult science camp. The home of a truly majestic and strange culture of boundless scientific inquiry, awkward networking interactions, beer-driven philosophical conversation, passive-aggressive pipette sharing, and sometimes… METHANE GAS. I invite you to join for a sneak peek into my experience as an adult scientist summer camper at a camp for microbe enthusiasts. Together, we will discover microscopic treasures that are stranger than you could ever imagine. 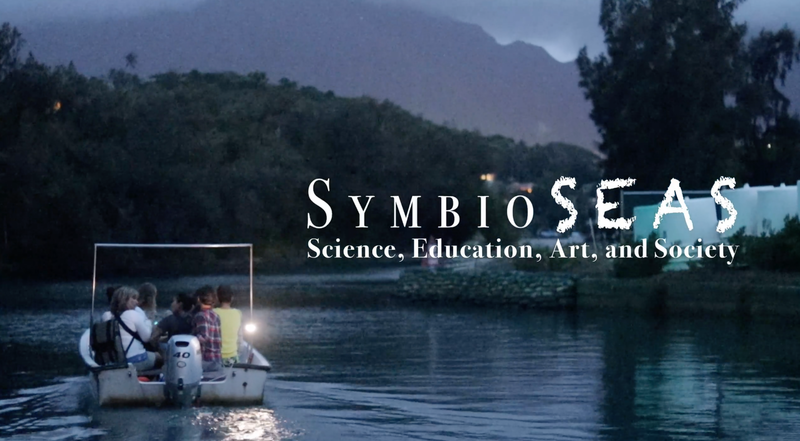 Bio: When Sarah is not at summer camp, she is studying marine microbes at the Hawai‘i Institute of Marine Biology for her PhD, inhaling Bob’s Pizza, and attempting to speak in different tongues (read: learn new languages). Come and marvel at the wonders of learning through play and level up in life utilizing the structure of games! This talk begins with a brief journey of critical history on the origins of ‘the university’ (universitas) and its role as an institution of inquisition from the European witch hunts and gestures toward its contemporary role in domesticating and policing magical practices. After providing this key historical and political context to elucidate the occult, pedagogical, and political significance of multiversity, those present will learn a wide range of strategies, tactics, and tools for using games and play in creating and navigating to preferred futures–for a world in which many worlds fit. Bio: Cody Lestelle is the founder of the Academy for Gameful & Immersive Learning Experiences (agilexps.com). Cody holds a Masters degree in Autonomous Organization from the University of the Earth (Oaxaca, Mexico) and is currently studying for a Ph.D. in preferred futures with the department of Political Science at the University of Hawaiʻi at Mānoa. The age-long search of the eternal life might reach its end. Everything is hidden in telomeres, the ends of our chromosomes. They seem to control the biological age of our cells. Sooner or later we might be able to modulate the aging of our bodies. Or NOT? Let’s dive into the world of life and death together. Eva is a postdoctoral fellow in the Gates Coral Lab at the Hawai’i Institute of Marine Biology, UH Manoa. Before her switch to coral biology she was the genuine lab rat studying the thin layer between longevity and cancer in different labs in Europe. Since she has a Czech blood in her veins, beside ice hockey she always appreciates couple of pints of a good beer with her friends. During her free time, she takes care of her telomeres by boxing in the gym, running, hiking and laughing a lot, being a huge optimist and a dreamer. The Sundurbans: Mangroves, Tigers and Deltas, Oh My! The Sundarbans are the world’s largest mangrove eco-region and home to the endangered Bengal tiger. Inundated by sea level rise to the south and increased glacial melt to the north, they are the canary in the global warming coal mine. Madeline Piscetta is a Master’s student from the University of Miami studying marine conservation and coral biology. She is currently interning at the Gates Coral Lab at HIMB. When she’s not researching corals, she is enthusiastically geeking out about geology, classic rock, and everything Star Wars. 3D Printing: Like a regular printer, except it prints stuff. 3D printers are cheap, simple and open source, so why did it take us so long to really start implementing them? We can already print a variety of things, from plastic parts and engine turbines to simple houses and rodent organs; what does that mean for the future when we can have anything at any time? Grew up in San Jose, California perfectly in time for the tech boom. As a kid Sean over charged his ride-on toys-r-us truck, built potato cannons, and generally did not pay attention in school. Now he is DIY engineering his own smart home, working with solar tech, and heavily into CNC and 3D printing. This presentation will take you behind the scenes of a firework display, including its organized set up to its chaotic launch. It will briefly discuss the different types of fireworks used in typical shows and how to identify them. We will also go into the anatomy, construction, and artistic essence of the traditional aerial shell. The overall objective of this presentation is to provide you a new perspective on fireworks shows, through the eyes of pyrotechnician. Andrew is originally from Los Angeles, CA, and currently studying sponge ecology at the Hawaii Institute of Marine Biology. He is also a licensed pyrotechnician and novice producer that has been firing shows across the United States for 5 years. 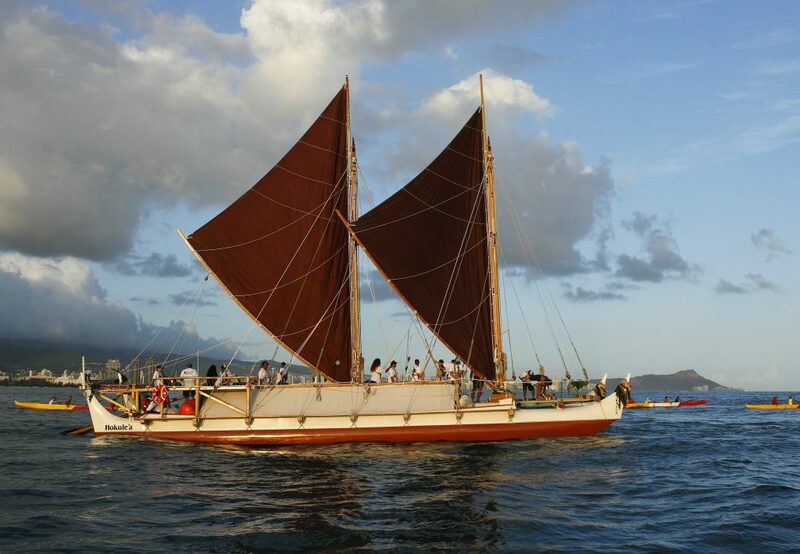 He has fired shows in a variety of conditions and environments ranging from firing off the Brooklyn Bridge in New York to barges riding 6 ft. swells in front of Waikiki. First responders spend their day answering the public’s call for help when they are having their worst day, day in and day out. That takes a toll. Let’s talk about it. James is made of meat, has learned a few things here and there, and doles out bear hugs on the daily. He is a firefighter, CrossFit coach, Hawaii Task Force Leader for Sons of the Flag (a non-profit for burn survivors), improvisor, and a member of his fire department’s Peer Support program. Corals are fascinating creatures that continue to bewilder scientists. These deceptively complex animals have been around for hundreds of millions of years, thriving against most odds. Like Madonna, they have withstood the test of time, withstood enormous trials and tribulations. “How?” you may ask yourself … through the power of sexuality! Beth is a PhD Candidate in the Marine Biology Graduate Program at UH Mānoa, based at the Hawaiʻi Institute of Marine Biology. Her research focuses on how well corals are able to sexually reproduce after major disturbances, primarily the recent global bleaching events. In addition to her research, she is Nerd Nite Honolulu’s Co-Boss, an improv performer and instructor with Improv in Paradise, currently playing in her first D&D campaign (her class is a Paladin, nbd), and hanging out with her dog Charlie, who is also a Nerd Nite regular. Why would anybody want to learn a “fake” language? Elvish, Klingon, Dothraki… Come explore the fascinating world of conlanging- the art of language construction- and see what all the fun is about! Dr. Taylor is a linguist, conlanger, sailor and dedicated life-long nerd. He has served as LocSec of San Diego Mensa and Gifted Youth Coordinator of both San Diego and Mensa Hawaiʻi. He has passed qualifying exams for 10 languages and has a Doctorate in International Business. In the face of a new great extinction, biologists are racing to preserve the world’s genetic diversity. Keeping animals alive in the freezer is a tricky business, but we have the technology to do it. Nik is a technician with the Center for Species Survival, part of the Smithsonian’s National Zoo. His interests include tinkering, really nice coffee, and afternoon naps. Let’s spend a few moments enjoying a good drink (or two!) and discussing plant movement, trickery, and how plant-animal relationships are important for understanding our forest! Amy is a plant ecologist working toward her PhD at the UH Manoa in the Botany Department. You can learn about her work and hobbies on social media @ecologist_amy.